eBay find. The Luma-Circle trade name was originally a Westinghouse product, but it appears the design was quickly replaced by a Philips design following the takeover of Westinghouse. 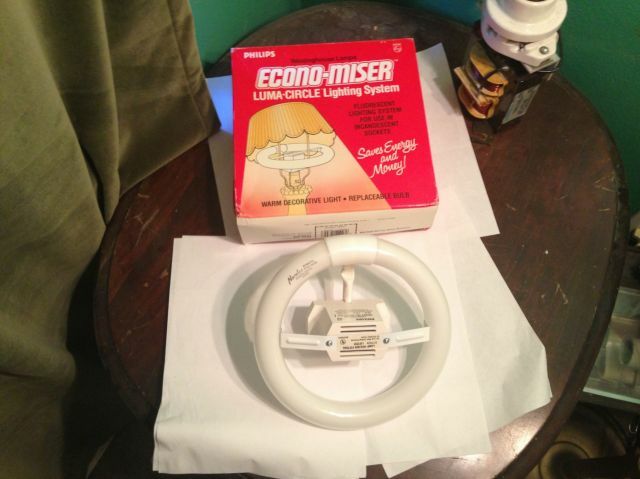 The circline adapter has the Philips name and was addressed in Ohio, where they used to make the Norelco mercury yard lights and other fixtures. The lamp is a Norelco, made for Philips through a joint venture with Panasonic in Japan. It works great and the lamp is pretty bright. But it isn't a Westy product at all, lol! Yeah nice find here Dave! I want to find one of those Norelco MV yardlights someday.